Posted on April 8, 2019 | 4020 views | Topic : News & Articles, Property News. The Four Seasons Hotel Kuala Lumpur is among the most prominent features of the city’s skyline, offering breath-taking views of the Golden Triangle’s most prestigious real estate. An exterior shot of the Four Seasons Hotel Kuala Lumpur. Designed by NRY Architects – the same minds behind the Meridian 101° mixed development and the neighbouring Maxis Tower, the Four Seasons Hotel Kuala Lumpur stands over KLCC park at over 340 meters high – just half a football field’s length shy of matching the Petronas Twin Towers in height. The hotel’s staggering height makes it one of the tallest structures in the country and affords guests with impressive views of the city skyline coupled with the enveloping greenery of the adjoining KLCC Park – a sight that is nearly impossible to find elsewhere within the centre of Kuala Lumpur. 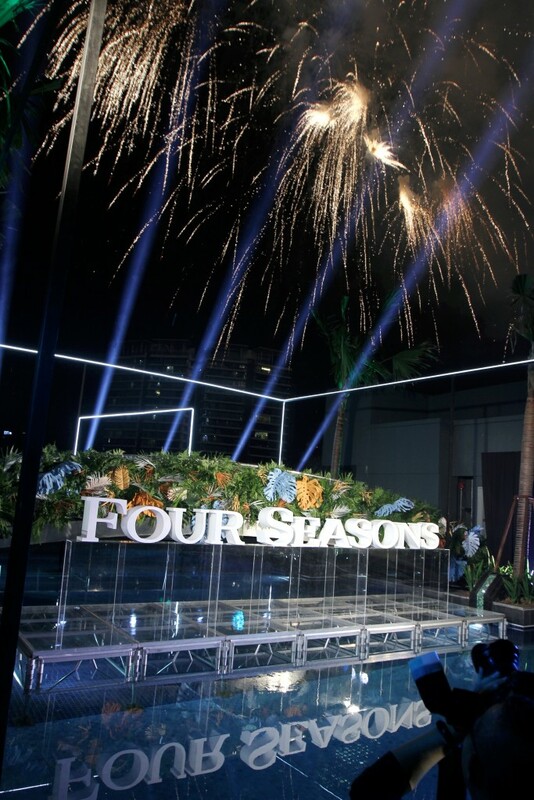 The spectacular fireworks display during the grand opening of the Four Seasons Hotel Kuala Lumpur in November 2018. With the grand opening in November 2018, the Four Seasons Kuala Lumpur features an array of luxury finishes and curated Malaysian art throughout the interior – for which the hotel has earned the Timeless Creative Touch Award for City Hotels at the StarProperty National Awards in 2019. Its 236 rooms, suites, and serviced apartments are decadently appointed with furnishings and fittings of modern design – and augmented with specially selected decorative works created by local artists. 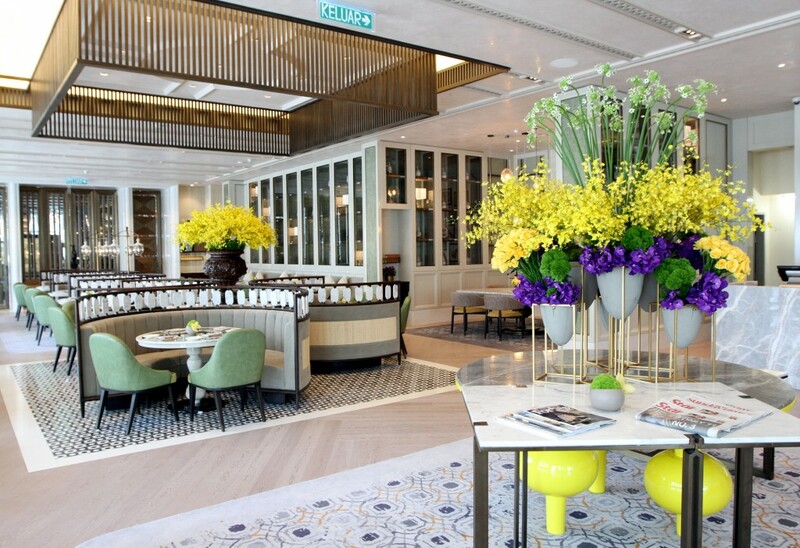 The Lounge at Four Seasons Hotel Kuala Lumpur is known for its afternoon teas. 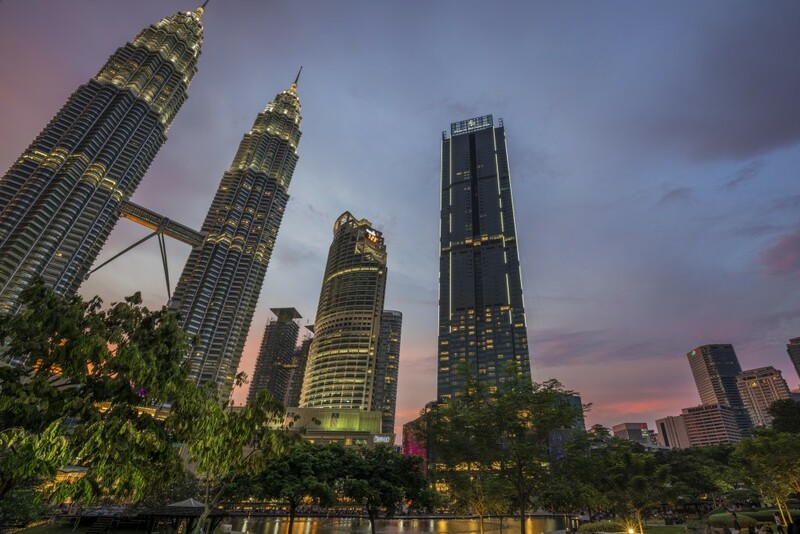 The half a dozen restaurants, bars, and patisseries at the Four Seasons Hotel Kuala Lumpur each embody aspects of Malaysian culture – with symbolic features of Minangkabau, Chinese, and Middle Eastern style combined with polished modern finishes. The Yun House restaurant represents an exemplary exercise in shaping modern Oriental style with opulent furnishings and mirrored panels extending the reach of sunlight onto the intricate, floral-patterned inner walls. 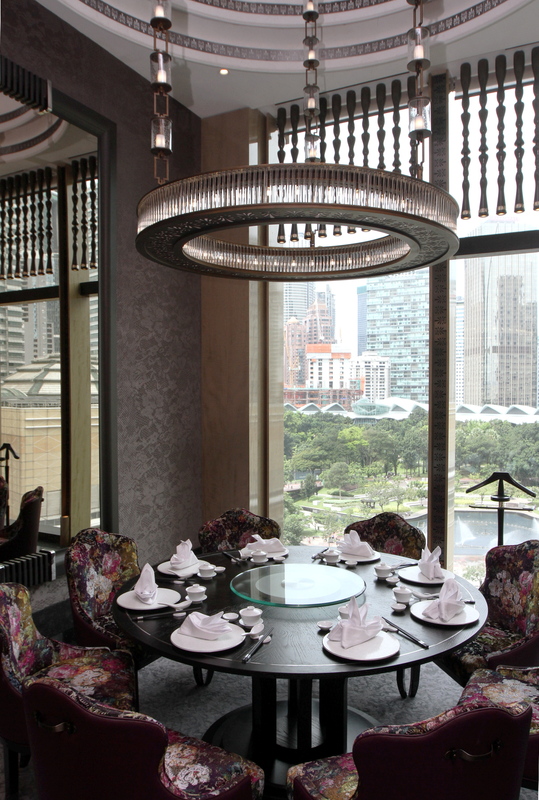 In the private dining room of the Yun House in Four Seasons Hotel Kuala Lumpur. The Pool Bar & Grill takes after an oasis with earth tones creating an arid landscape around the infinity pool – and at night, the poolside is transformed into a lounge and grill akin to something one would find on a secluded tropical shoreline. The Curate restaurant features a striking explosion of hibiscus petals suspended above the buffet tables, and the Bar Trigona presents a singular hybridisation of Malaysian and Middle Eastern style combined with modern finishes and near-industrial bulbs floating in strings beneath a mirrored ceiling. 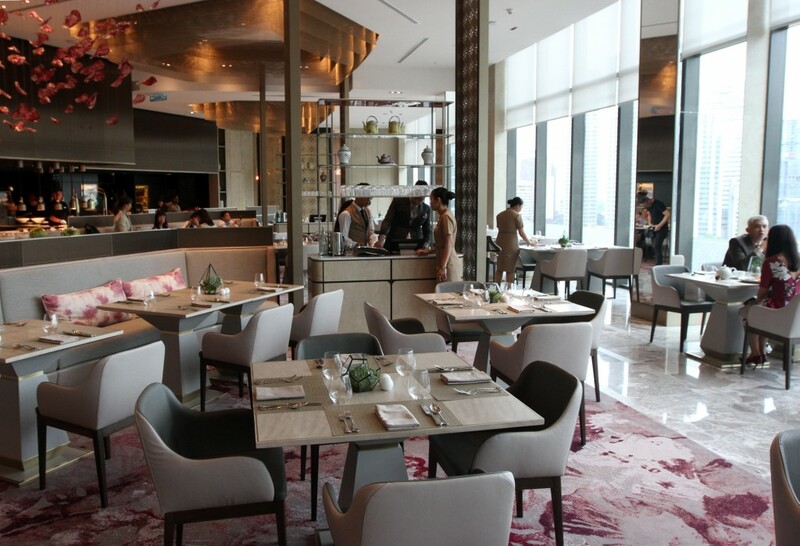 At Curate, the all-day dining restaurant in Four Seasons Hotel Kuala Lumpur. While most other luxury hotels seek to maintain consistent imagery in their premises throughout the world, the Four Seasons Hotels and Resorts group emphasises local culture in their architecture and decorative style – while maintaining the exceptional level of service that is expected of the brand.